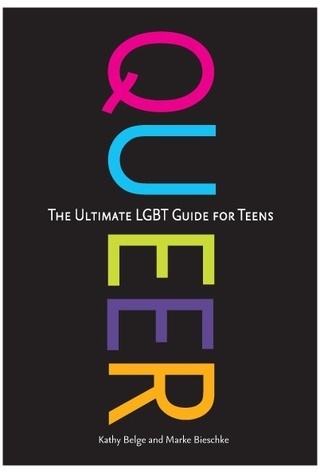 Queer: The Ultimate LGBT Guide for Teens by Kathy Belge and Marke Biesche. Out in June 2011 on Zest books. Lipstick & Dipstick are here to help whip the most precious lesbian commodity -- relationships -- into shape. From finding a date to staying together, they help readers navigate the wild world of discovery that pulls up shortly after the U-haul drives away -- how to deal with exes, emotional baggage, and sexual dilemmas. A selection of travel writing articles. A travel article for Curve magazine about LGBT history in Richmond, VA. I don’t know whose idea it was to take a cocktail mixing class at 10:30 am. I don’t normally drink before noon and rarely drink cocktails. But there I was, at Harvey Nichols, an upscale department store, sampling rum and vodka the morning of the Manchester Gay Pride Parade. After a few “Dark & Stormies” (rum, ginger beer, lime and a dash of soda—yum!) I found myself being ushered to the front of the parade. Our group of visiting Americans was invited to march with the Pride VIPs. Tipsy. So, I must admit, that I had one of my best times at a gay pride event ever in Manchester. But the alcohol was only a little part of that. The people of Manchester, a working class town in the northwest of England, love their Gay Pride. In fact, Manchester Pride was voted “Best Event” at the 2009 Manchester Tourism Awards and Best Pride Event in the UK by the national gay newspaper – Pink Paper. It seemed like the entire city came out to watch the festivities. Ladies who looked like they walked straight out of a British comedy, standing next to punk rock teenagers and families with kids in tow all lined the parade route, cheering us, and the 90 other floats entered in the parade. After marching for a while, I stepped out and watched the rest of the parade go by. I was amazed at how un-jaded everyone was, truly enjoying the floats of double-decker buses, buff guys riding spinning bikes and homo heroes on parade. Everyone seemed to be having a genuine good time. I knew two things about Manchester before I went. It’s the home of Manchester United Football (soccer) and the British version of Queer as Folk was filmed there. Since I couldn’t score football tickets, (it’s the most popular team in the world) I rented the first season of QAF to get ready. I was excited to visit Canal Street and the gay village where much of the QAF action takes place. The gay village in Manchester is insular and dreamy. You could spend a week and rarely venture outside its confines. The streets are lined with pubs, clubs and restaurants, many with outdoor seating. Men and women seem to be about in equal numbers. There are two women’s clubs. Vanilla, a welcoming bar, perfect for hanging out after work with a beer and Coyote’s, which caters to a slightly younger, hipper crowd. Taurus, a mixed bar, was the friendliest pub on the block, with a great diversity of patrons. During Pride Week, the Village is packed with partiers from all over England. For the weekend, it is gated and you need a wrist band to get in. A main stage is set up at one end with top notch entertainment. In 2009 Bananarama, Little Boots and The Human League played. Pink is rumored to be on board for 2010. On Sunday, part of the festival is closed off for Women’s Space, a trans-friendly women-only concert and chill out zone, with no men allowed. As I walked through the gates, I saw a man arguing with security about not being allowed in. I couldn’t imagine a US pride festival with a such a space. As lovely as it is, of course, I spent time outside of the Village. The Castlefield neighborhood highlights Manchester’s canals and houses some of the nicer restaurants. The Royal Exchange theater is worth a visit, just to check out the architecture of the former cotton exchange building. Friday happy hours feature free entertainment and cheap drinks. I took a gay walking tour with “Out in the Past” and learned about Manchester’s history, including it’s most famous gay resident Alan Turing, a mathematical genius and WWII code-breaker who later killed himself rather than be subjected to anti-gay therapy. Manchester is just a 45-minute train ride to Liverpool, birthplace of the Beatles. I didn’t come all the way across the ocean, not to make that pilgrimage. The Beatle’s Story, a short cab ride from the train station on Albert Dock has a few cool mementos, but is kind of hokey. I much more enjoyed visiting The Cavern Club where the Beatles played, because it felt more authentic and I could imagine the Fab Four rocking out in the tiny, dark venue, even though it has been moved from it’s original location. Back at the Pride Festival, I was glad to have access to the VIP area (available for purchase), a raised platform with a place to escape the huge crowds and retreat during the frequent rainstorms. You can pay 20 pounds to attend one of several women’s dance parties, but I had more fun bouncing between the free clubs and pubs on Canal Street. The weekend closes with a candlelight AIDS vigil, a moving memorial that sobers the crowd and reminds them Manchester Pride raises thousands of pounds each year for AIDS and other charities. I spoke with Jackie Crozier the Festival Manager about lesbian life in Manchester. Where will you always take out of town guests? The Royal Exchange Theatre in the city centre along with a trip to Manchester United Football Club of course! That’s easy. Taurus Bar at the top of Canal Street for lunch and Vanilla Bar round the corner for drinks in the evening. Where is one place outside of the village that you’re sure to run into lesbians? Chorlton. It’s about four miles southwest of the city centre. It’s probably the most varied and interesting suburb of Manchester and has a large lesbian/gay community. Where do you take your girl when you want to go out for a nice date? That’s a tough one as Manchester has an abundance of things to do that you are never stuck for somewhere to eat. I think first it would be a visit to one of the theatres – the Royal Exchange, The Opera House or The Palace – followed by dinner somewhere like Malmaison Brasserie. What are you looking forward to for the 20th anniversary of Manchester Pride? The parade is a big one. It always delivers year on year. It’s so great to see the streets of Manchester filled with thousands of spectators - young and old, gay and straight, friends and family. We will be pulling out all the stops to make sure that Manchester Pride 2010 festival will be just as exciting, unique, and goes with a bang. 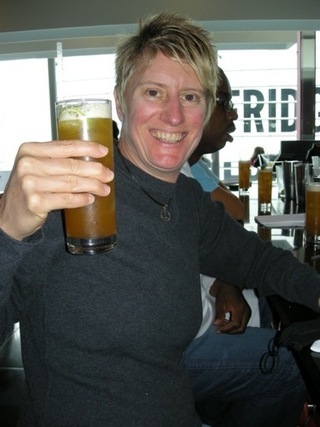 Since 2003, Kathy Belge has been providing information about lesbian life through her writing on About.com. A fun and informative guide for today's LGBT teens. It's point/counterpoint for the lesbian set. Travel articles by Kathy Belge. Richmond, Virginia is a town steeped in history. Patrick Henry gave his famous “Give me liberty or give me death” speech here. With monuments, museums and public gardens touting the city’s connection to the Civil and Revolutionary War, many tourists visit Richmond to celebrate and learn more our country’s military beginnings. What I didn’t expect before a visit to Richmond was the rich LGBT history in this confederate state.